On the heels of failed rains and a calamitous El Niño in Ethiopia, the country’s Government today launched an appeal for $948 million to urgently address food and non-food needs, while the United Nations agriculture agency warned that a new drought may put the East African nation’s hard fought gains at risk. The humanitarian response plan, launched by the Ethiopian Government and humanitarian partners, aims to help 5.6 million people mainly in the southern and eastern parts of the country, according to the UN Office for the Coordination of Humanitarian Affairs (OCHA). “Last year the Government of Ethiopia, with the support of international donors and humanitarian partners, was able to mount the biggest drought response operation in global history. Today we need that partnership once again as we face a new drought, with 5.6 million in need of urgent assistance,” said Commissioner Mitiku Kassa, Head of the National Disaster Risk Management Commission. “Humanitarian partners stand ready to support the Government in addressing the needs of those Ethiopians affected by this new drought,” said the UN Resident and Humanitarian Coordinator Ahunna Eziakonwa-Onochie. Failed rains in southern and eastern parts of the country were caused by the negative Indian Ocean Dipole. The plan prioritizes humanitarian assistance in water and sanitation, agriculture, relief food, nutrition, health, education, protection, and shelter and non-food items in the affected areas. Of the total, $598 million is targeted for relief food, $105 million for nutrition, and $86 million for water and sanitation needs. Meanwhile, the UN Food and Agriculture Organization (FAO) warned that a new drought across swathes of southern Ethiopia may jeopardize the East African nation’s restoration of food security after the worst agricultural seasons in decades, unless urgent efforts are made to shore up vulnerable households in rural areas. 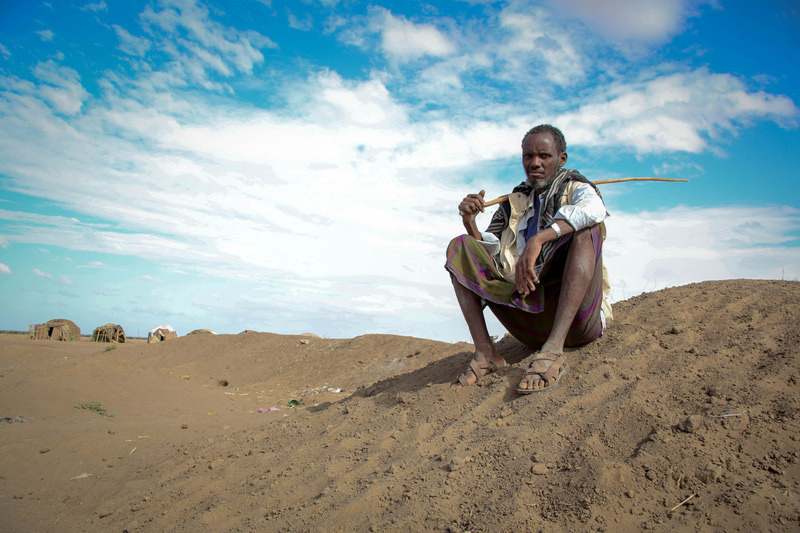 The agency said that while an impressive Government-led humanitarian effort has sharply reduced the number of hungry during the worst drought in 50 years, the legacy of last year’s El Niño along with low rainfall during a critical season pose renewed risks now, especially for pastoral communities facing forage shortfalls and water scarcity in southern regions. After having reached 1.3 million farmers and herders affected by the El Niño-induced drought in 2016, FAO is appealing for $20 million to reach one million farming, agropastoral and pastoral households in 2017, with the aim of protecting gains made last year and preventing vulnerable households from slipping further into food insecurity. FAO’s programme seeks in particular to support crop production, implement emergency response and resilience activities in the livestock sector, support livelihoods in refugee-hosting areas and strengthen coordination, information and analysis.